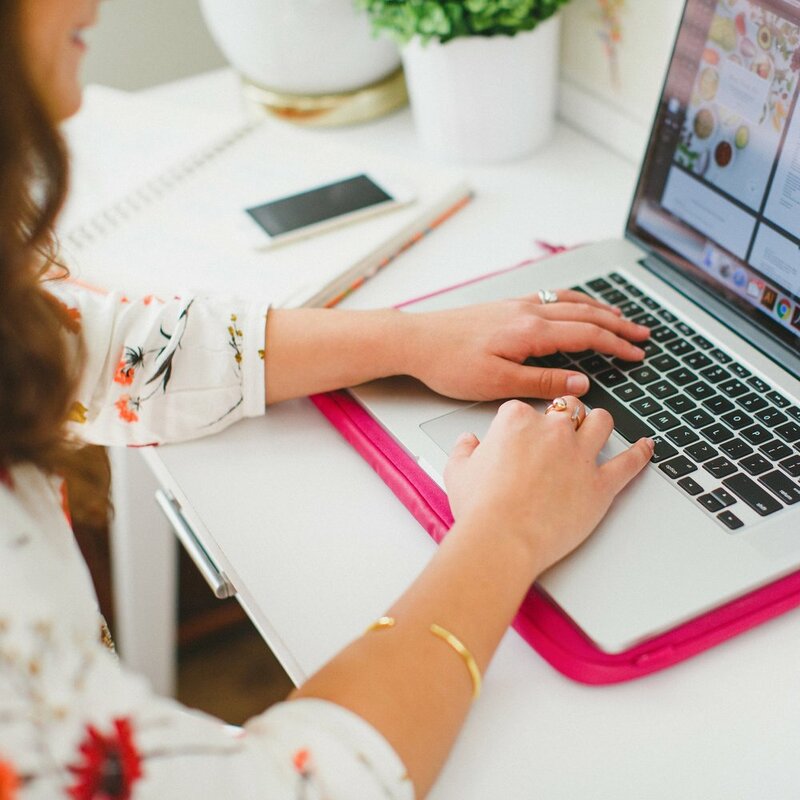 Do you ever find yourself stuck in a rut, at a loss for how to create original ideas for your blog and business? You're not alone. For the first 6 months of Elle & Company, I had the hardest time staying inspired and coming up with concepts that were original and one-of-a-kind. But last summer I started a practice that pulled me out of that rut: setting aside time to consistently brainstorm. If you've been following along with Elle & Company for the past few months, you've probably noticed that I'm a big fan of brainstorming. 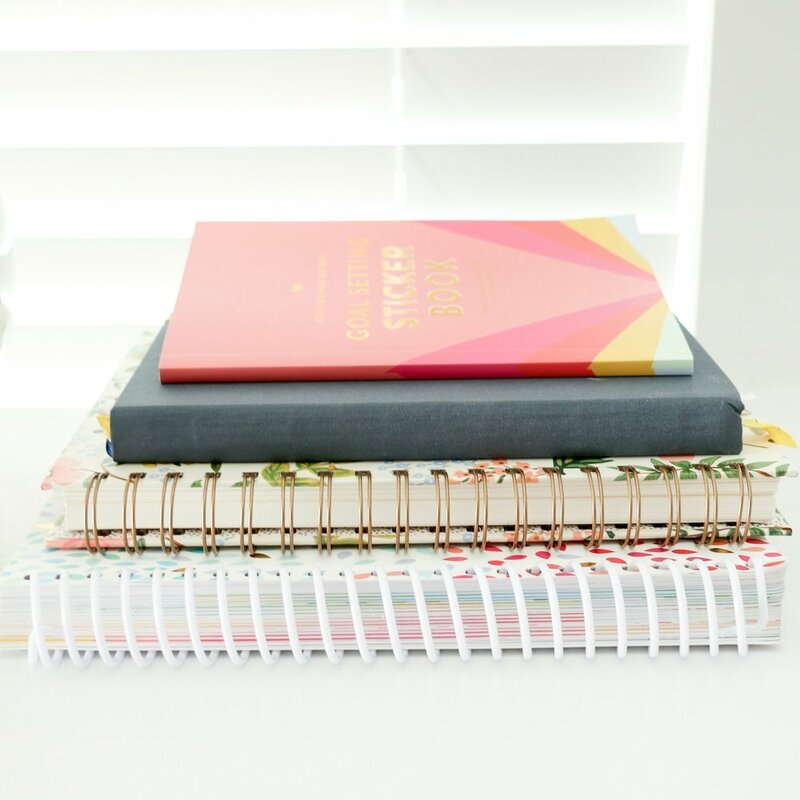 It's a practice that's had the largest impact on the growth and success of my blog and business, it's where I draw inspiration, and it helps me come up with original ideas and content. I'm a firm believer that brainstorming has enormous benefits for every blogger and entrepreneur, but sometimes it's hard to know how to get the ball rolling. Here are 4 tips for making the most out of your brainstorming sessions. It's easy to get stuck and burnt out when you're flying solo in business and blogging, especially if you're in a creative field. When you're a solopreneur, you're often bouncing ideas off of yourself and trying to see every angle from a single perspective. Not only is it exhausting going it alone, but it can cause your business and blog to flatline on creative concepts and new ideas. That's why partnering up with an honest, trustworthy person can be a game-changer for your blog or business. Even if they aren't a paid employee or a business partner, talking through concepts and ideas with another person can bring new things to light that you may never have considered before. It can help you see things from a different perspective, provide you with alternatives, troubleshoot, or point out something obvious that you may have overlooked. Excitement over brainstorming also becomes contagious when you have someone else on board; I'm often much more creative and willing to come up with new ideas when Jake partners with me. Blocking out a specific amount of time to complete a task forces you to be productive and to push through your thought process. Jake and I often spend 30 minutes brainstorming on a topic, throwing out any and every idea we can think of, and I'm always surprised by the quality and number of ideas we come up with when we're forced to get it done in a certain period of time. We also take advantage of long car rides and commutes to brainstorm new ideas. It doesn't have to be elaborate; all it takes is getting started! This may seem obvious, but writing down every idea you come up with during a brainstorm session is very valuable. Recording your ideas on paper, your phone, or Google Drive allows you to store them for future reference. Don't let all of that time and effort brainstorming go to waste; write down every detail (even if it might not seem ground-breaking at the time). P.S. There's a brainstorm worksheet in the Library! Once you've written everything down, go back and put more thought into each idea. It might be helpful to combine some concepts or break them down into individual parts. Some might be ruled out right away, but I would encourage you to keep them on the page - you never know what might be helpful in the future! Here are some simple questions to get those creative juices flowing. Why are you passionate about your industry? What gets you excited about your field? What aspects of your industry are you an expert in? What sets you apart from other people in your industry? What is something original and unique that only you can bring to the table? Are there any aspects of your blog or business that people are uninformed about? What are your strengths? What are your weaknesses? How can you use both to your advantage? Why should people follow along with you? What makes you interesting? What are some common issues that your audience faces? What are your solutions to those issues? Which entrepreneurs and bloggers do you enjoying following along with? What makes them stand out to you? How does your blog or business practically benefit others? What problems is it solving? Which questions are you consistently fielding from your readers and followers? What do you enjoy writing/creating/teaching? How can you partner with other bloggers and entrepreneurs in ways that are beneficial to everyone involved? What is currently working for your business or blog? What is currently working against your business or blog? Brainstorming is a fundamental in coming up with one-of-a-kind content, refining ideas, and growing your blog and business. Do you make it a regular practice? What are some tips that you find helpful for coming up with original content?